We specialize in selling great value and high quality CAT control and Digital Mode interfaces for Icom, Yaesu, Kenwood and Wouxon Ham Radio Equipment. Great for operating PSK31, FT8, JT9, JT65, Echolink and any other AFSK mode. They can be used with Ham Radio Deluxe, FlDigi, WSJT-X and many other CAT control and Digimode applications. You can use the "shop" menus on the left or links below to check out the CAT and Digimode products we offer for your equipment. Our CAT interfaces are great for controlling the frequency and mode of your radio from your PC and allowing Digital Mode applications to fill your electronic log files automatically. We offer both USB and legacy RS232 CAT interfaces. Our Digital Mode interfaces connect between your PC and your radio allowing you to operate modes such as PSK31, FT8, JT9, JT65, WSPR, Echolink and any other AFSK mode your favourite software supports. Versions are offered that interface your PCs own sound card to the radio or provide a dedicated external sound card. The interfaces are fully compatible with a large range of CAT and Digital Mode software, they come with a 12 Month Guarantee and the promise of your money back if you are not happy with the product in the first 30 days. Full e-mail support for the products is provided. We can also make bespoke cable solutions for your equipment. Please use the contact us page if you have any questions. We accept payments via Paypal and are a verified Paypal seller. All of our USB interfaces use the highly reliable USB chipset. We only use original FTDI chips. 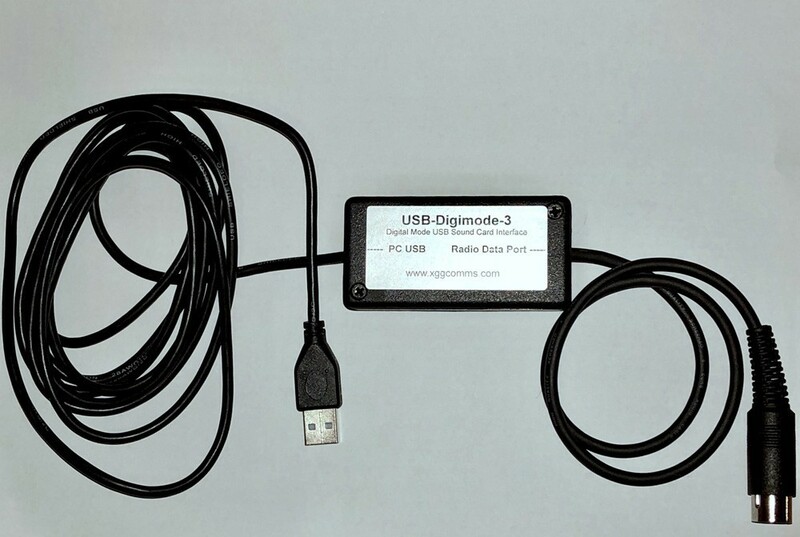 The new USB-Digimode-3 USB Sound Card Digimode Interface for Icom, Yaesu, Kenwood and Xiegu transceivers. Perfect for PSK31, FT8, JT9, JT65, Echolink and any other AFSK modes. Our new USB Sound Card Digimode Interface uses the C-Media CM-108 Chipset. As most modern operating systems have the drivers built in, this interface is about as plug-and-play as you can get. Transformer isolated Tx/Rx audio and Opto-Isolated VOX PTT. As the interface is a dedicated sound card, it will free up your standard sound card for normal windows functions.